Automating customer lifecycle analysis and using artificial intelligence to improve the timeliness and relevance of email marketing are just some of the things on the to-do list for pure-play shoe etailer, Styletread, in 2017. Styletread has been steadily building its level of email and digital marketing sophistication since initially deploying Emarsys’ martech platform four years ago. Today, more than $500,000 in revenue is generated via email campaigns, making it a commercially valuable channel as well as an important one for personalised engagement. Styletread managing director, Lee Munro, told CMO the group started “rudimentally”, sending batch and blast emails in an attempt to send out as many communications as possible. But it’s come a long way since then. In the first instance, Styletread refined communications by looking at opportune times of the week to get the best results from a revenue point of view and also to minimise unsubscribe rates. The next and arguably most successful step has been turning on Emarsys’ CRM functionality and marketing automation, Munro said. This allows the retailer to run triggered campaigns around customer purchase behaviour, browsing and email interactions. To do this, Styletread has tags on emails as well as cookies onsite that gather user data. 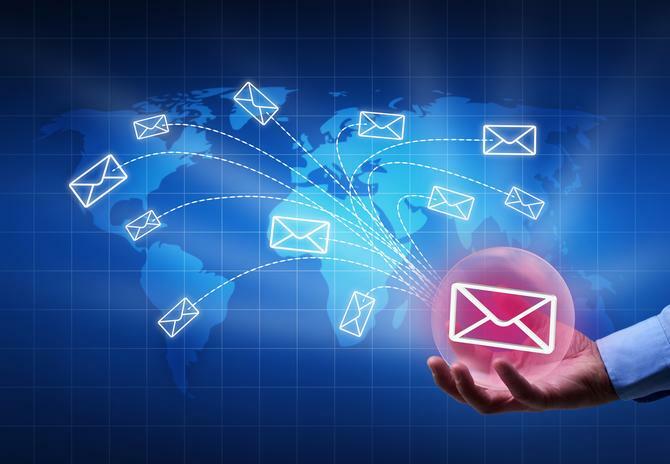 Automated campaigns now represent 20 per cent of overall revenue for email channel, an ROI Munro described as “astronomical”. Twelve months ago, Styletread took another step forward, serving up to three individual personalised recommendations to subscribers on campaign emails. These are 100 per cent driven by Emarsys technology and based around a consumer’s browsing behaviour. Since launching personalised results, Munro said the retailer has seen an 8 per cent increase in revenue from email campaigns, along with a 10 per cent increase in engagement. “It’s difficult to qualify over the whole journey, but as features mature in the platform, the uplift has been tremendous,” he said. Complementing the technology capability, Munro said Styletread has worked to understand customer experiences and behaviour through research, polling customers and analytics of browsing behaviour. These customer segments then influence the automation and campaigns created, which extend from cart abandonment to re-engagement, re-education, or non-interaction. Emarsys market lead for Australasia, Heath Barlow, added customer lifecycle-based automation campaigns are table stakes in today’s engagement game. Munro is the first to admit to plenty of learnings along the way. One key one has been how to balance engagement with revenue and qualify contribution over the long term. “It’s a very difficult one to quantify. We’re taking a pragmatic approach that we want both, and we’re happy to sacrifice some revenue to service customers with things that are interesting and relevant,” he said. “The other learning is that people will surprise you. One of the strengths of the site is the actual breadth of our range of products. The artificial intelligence of the recommendations engine serves up results that for us sometimes seem perfect, but customers also appreciate and interact with them and purchase from them. Helping to fine-tune campaigns over time is the performance of a campaign itself, Munro continued. “We run it as an A/B test, with one type of content for one customer, versus another type of content for another customer. We are always optimising and improving our campaigns that way,” he said. The next step for Styletread is to deploy Emarsys’ smart insight feature to do full customer lifecycle analysis. Munro said the team did this manually in the past, but with more than 1 million subscribers in its database, it’s time for automation to kick in. “If you perform that analysis separately, there’s a lot of double handling around campaigns. We want to build into the Emarsys platform so we can easily create segments from the analysis performed there,” he said. Munro is also looking to further personalise and utilise the artificial intelligence capabilities of the platform on email in order to optimise each individual’s send time and when they’re most likely to open, click and shop. “That’s about giving them an even better experience,” he said. Smart insight will deploy mid-2017, with AI at the same time. Munro said another task commenced six months ago is rolling out Emarsys as the email marketing engine across other sites within the Munro Footwear Group of companies. Alongside Styletread, which is considered the digital innovator of the bunch, this includes Wanted Shoes, Cinori, Gamins, Mollini and Midas. Styletread was acquired by the Munro family in 2013 from its founders, Mark Rowland and Bjorn Behrendt. It’s not just email that can be personalised, either. The platform offers the retailer the ability to provide personalised SMS, push notifications and onsite recommendations. Munro said Styletread has also started experimenting with interactions with Facebook using the product recommendations onsite.